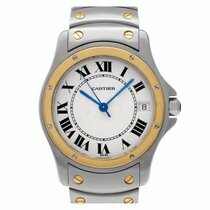 Unique Cartier Santos 18kt yellow gold and stainless steel watch. Recently serviced, completely overhauled and polished. 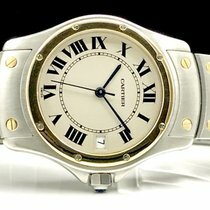 Watch looks very good. No box No papers.